This was just the right answer to Rotterdam Termination Source smash hit - "Poing! ", or just another Techno joke. 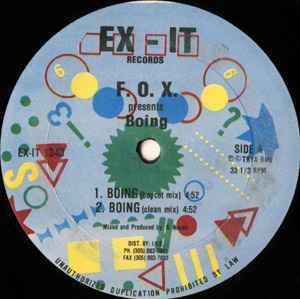 Same idea, but the synthesized "Poing" was replaced with a Karftwerk sample from the "Boing, Boom Chack" tune, with a distorted bass drum that is typical for the Gabber style. Karl Bartos was never sound so good before!